Caswell-Massey Almond & Aloe Soap, Lotion, and Cream | P.C. Fallon Co.
One of Caswell-Massey's classic fragrances is Almond and Aloe. It has remained one of our best sellers for many years, and has a fresh, pleasing scent that is enjoyed by both men and women. 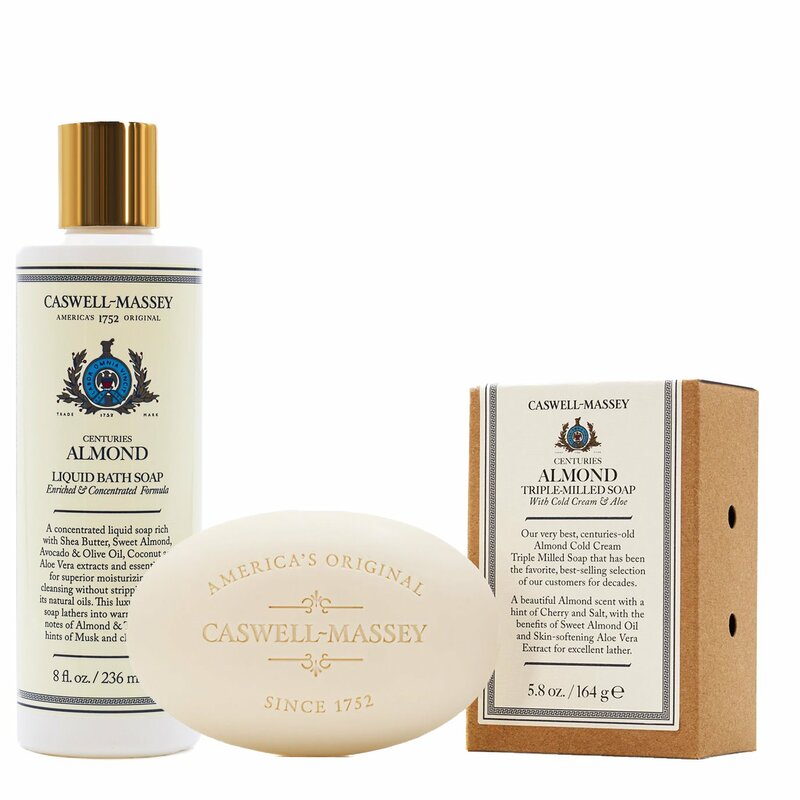 Numerous Presidents and First Ladies have selected Caswell-Massey Almond & Aloe soap for use in the White House. We keep a large selection In Stock. Like all Caswell-Massey products, Almond & Aloe is made with pride in the USA. Caswell-Massey Almond & Aloe Liquid Soap 32 oz. Almond and Aloe soap, lotion, bath gel, talc, body butter and hand cream are enriched with healing and nourishing ingredients. Almond oil is rich in vitamin E and the healing properties of aloe have been known for centuries. Caswell-Massey has combined these ingredients to make a soap that is perfect for everyday use. The Almond scent is slightly sweet, fresh and clean. The Almond and Aloe fragrance is a classic that is loved by everyone. The soaps are triple milled, which makes them exceptionally long-lasting and pure.